We’d love your help. 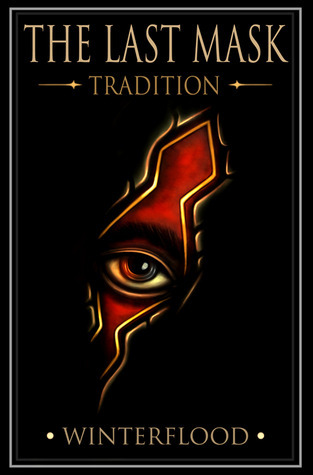 Let us know what’s wrong with this preview of The Last Mask - Tradition by Stephen Winterflood. Joseph Scamboldi doesn't have a face, and on this most important night that was a problem, for tonight Joseph was supposed to become a clown. Ladies and gentlemen, welcome to The Last Mask – Tradition the first book in The Last Mask Trilogy, a fantastical journey through a world of theatrical decadence. Stories are not born of the light; they are the stuff of shadows, creepi Joseph Scamboldi doesn't have a face, and on this most important night that was a problem, for tonight Joseph was supposed to become a clown. Stories are not born of the light; they are the stuff of shadows, creeping from the darkness as we huddle around the flames. This is a tale of where those stories come from, the world that inspires the decadence of the theatrical, the dreams of the artist; a realm called the Joke. Not many people get the Joke, for only a few can understand its dance of mirth, or the irony of its ways. But as the boy without a face steps upon its stage, and takes the spotlight of this play, he will realise that the traditions of a family’s circus run deeper than any of them have known. As traditions fall, and the boy searches for his identity, the world of the Joke unfolds around him. A game of cosmic mirth played out before the eyes of those who no longer see, with the key to power hanging in the balance between the flames and what lies beyond, for the one who will be. Shadows gather and the darkness awaits the punchline, for tonight the show will not go on. 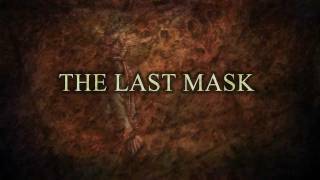 To ask other readers questions about The Last Mask - Tradition, please sign up. Stephen Winterflood’s, The Last Mask is a dark adventure with traditional fantasy elements presented in a very unique style. Fantasy readers looking for a break from the norm will love the asymmetric structure and artistic writing approach. Traditionalists will likely feel less thrilled because early on the plot builds in an unusual way that can seem a bit complicated. You'll see the value in his approach later as characters and plot find their convergent path. Winterflood establishes a structur Stephen Winterflood’s, The Last Mask is a dark adventure with traditional fantasy elements presented in a very unique style. Fantasy readers looking for a break from the norm will love the asymmetric structure and artistic writing approach. Traditionalists will likely feel less thrilled because early on the plot builds in an unusual way that can seem a bit complicated. You'll see the value in his approach later as characters and plot find their convergent path. Winterflood establishes a structure with what feels like three indirectly related sets of mysterious characters and story lines. Despite small peeks behind their masks, more secrets are left for the reader to puzzle with each discovered truth. That is the nature of this unnatural world he’s created, called the Joke, where the homicidally sadistic find humor. The simple pleasures of our world are turned on their axis and cast into a place where the inhabitants are predator or prey and quite often both. The characters who bring fun and laughter to our world are instruments of horror and mayhem in Winterflood’s Joke, a place where the best punch line is a quick death. Start with plenty of sinister, add a pinch of whimsy and a full helping of fantastic poetic flair and you’ve begun what may be one of the most uniquely crafted and diabolically creative circus stories to be published in a very long time. Be warned, this first in the trilogy will likely not sate your appetite for answers, but it will certainly tantalize your hunger for more. Four stars for Winterflood’s debut and definitely looking forward to book two. My other and main review is on amazon, and to cut and paste the review would do the book no justice. Plus, it's lazy. As far as the story is concerned - it's fresh and original. I love the premise, and the alternate dimension of "The Joke" is a truly terrifying place, while the descriptions of the dimension were quite sparse, this was without a doubt the best way to go - my imagination went wild. I had a mix of Coraline/Sleepy Hollow/Pans Labyrinth visualisation in my mind - and it was powerful stuff. I'll never look at clowns, harlequins, mimes, big tops or anything remotely stripy and circuslike in the same way again. I finished this 2 days ago, and I'm still replaying bits over in my mind. This is theatrical decadence, gothic romanticism with a twist of horror. So far...LOVE it! Deeply disturbing and original...great! A wonderfully edgy and dark vision by maestro Stephen Winterflood. One of the most original books I've ever read. Highly recommended! Winterflood is a writer of Theatrical decadence, and piratical adventure. His novel The Last Mask - Tradition is the first tale in the series of books set in the world of The Joke, a dark theatrical realm of clowns, mimes, and the wonderfully bizarre. A place where you will truly not know what to expect to find around the next corner. Winterflood also dabbles in the art of digital painting and has Winterflood is a writer of Theatrical decadence, and piratical adventure. His novel The Last Mask - Tradition is the first tale in the series of books set in the world of The Joke, a dark theatrical realm of clowns, mimes, and the wonderfully bizarre. A place where you will truly not know what to expect to find around the next corner.